Established in 1996, AGM Automation Supplies, Installs, Services & Repairs Automatic electric gates all over Perth and Western Australia. As a family business we pride ourselves in our first class workmanship, extensive knowledge of the industry and customer satisfaction. All jobs such as new installs or repairing electric gates are completed to the highest standard, by using the most reliable products installed by our experienced technicians. Trust in our experience, knowledge and our range of quality products. AGM Automation can help with any type of electric gate you may have, with our extensive knowledge of the market and products in the industry. AGM is a one stop shop from start to finish, supplying, installing and servicing all Automatic electric gates. 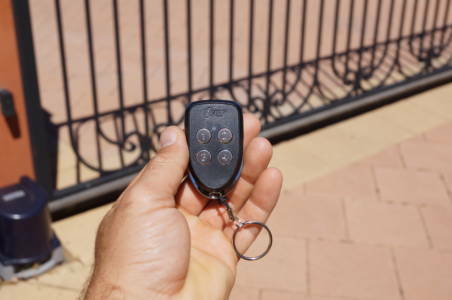 Ensuring your gate system is serviced regularly is critical for the ongoing reliability and performance of your gate, while also maintaining the security of your property. When carrying out regular gate maintenance, our experienced technicians complete our comprehensive preventative maintenance checklist. Starting with the safety equipment checks, the control equipment, motor(s) and general gate hardware. Our service experience and knowledge is unrivalled in the industry, with 25 + yrs of family knowledge passed down to our technicians. AGM maintains its position as a leading small family business in Western Australia. We welcome all automatic gate service enquiries and can accommodate for all levels of electric gate Automation. Unfortunately we are finding more and more of these incorrectly designed and installed Automatic Electric gates. AGM Automation recently had to replace/ upgrade another Multi Unit development, vehicle entry Single Swing Gate with a new Automatic Electric Sliding gate. Finding the right company which understands the requirements of an Electric gate is key to achieving the level of finishes expected & receiving a quality service which you paid for. AGM Automation recently installed a new set of High flow traffic Boom gates for CTI logistics transport depot in Hazlemere WA. Accessories, Yes or No? When it comes the time to make the decisions on which accessories your Automatic Electric gate will require, you just have to ask yourself 3 simple questions. What level of safety does my Automatic Electric gate require? What level of security do i need or want added to my Automatic Electric gate? and What types of accessories are there? in this short blog we answer these 3 simple questions! !